346 cricketers will go under the hammer at the IPL player auction in Jaipur. Jaipur: Despite India being locked in an intense battle with Australia in the ongoing four-match Test series Down Under, cricket fans and aficionados will also shift their attention towards the upcoming Indian Premier League (IPL) 2019 player auction which is slated to take place in Jaipur on December 18. No Indian cricketer figures in the highest reserve price bracket of Rs 2 crore, in a pool of 346 cricketers who will go under the hammer at the IPL Player Auction. While 1003 players had initially registered, the final list has been pruned after the eight franchises submitted their shortlist of players, a BCCI release said. Brendon McCullum, Chris Woakes, Lasith Malinga, Shaun Marsh, Colin Ingram, Corey Anderson, Angelo Mathews, Sam Curran and D'Arcy Short have opted to be slotted in the highest bracket of Rs 2 crore. Paceman Jaydev Unadkat, last season's top Indian grosser with a whopping final bid amount of Rs 11.5 crore, leads the pack of local players with a base price of Rs 1.5 crore. Former Kings XI Punjab all-rounders Yuvraj Singh and Axar Patel have set their base price at Rs. 1 crore along with KKR's Wriddhiman Saha. Yuvraj was bought by KXIP at his base price of Rs 2 crore last year before the franchise released him ahead of the auction. Paceman Mohammed Shami has set his base price at Rs 1 crore while Ishant Sharma and Naman Ojha will invite the first bid at Rs 75 lakh. Cheteshwar Pujara, Manoj Tiwary, Hanuma Vihari, Gurkeerat Singh and Mohit Sharma have set their base price at Rs 50 lakh. The 2019 edition may be held outside India, partially or completely, if it clashes with the general elections. The IPL 2019 auction will take place on Tuesday, 18th December 2018 and is expected to start at 2.30 pm IST. The IPL 2019 auction will take place in the Pink City of Jaipur after being shifted from Bangalore. 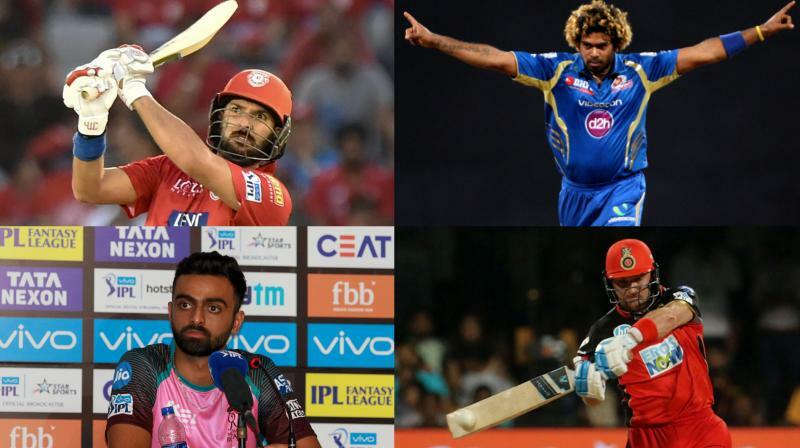 The IPL 2019 auction will be aired live on television across various Star Sports channels. The live streaming of the much-awaited IPL 2019 auction will be available on Hotstar.